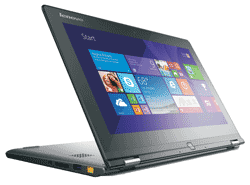 Lenovo Yoga 2 11.6" Multimedia Laptop Pentium Quad Core 4GB 500 GB+8GB SSD. 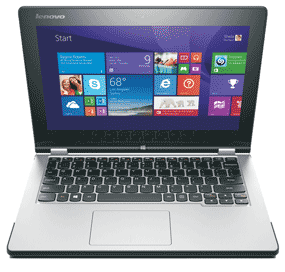 In the industry of convertibles, Lenovo gives the users a perfectly stylish and fully featured convertible laptop. That gives you the productivity of the laptop and fun and excitement of the tablet. 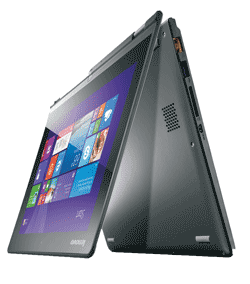 Lenovo yoga, as the name indicates, is a perfectly bending and twisting device that gives you multi-mode usability. 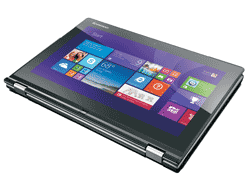 The Lenovo yoga 2 is a device beyond just flipping. It gives an ultimate 360 degree flip that makes you go productive with laptop and keeps you entertained with tablet. 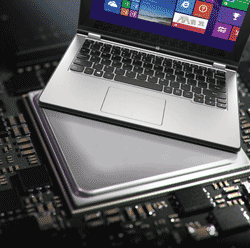 · You can use it like a traditional laptop and have all the productivity going with comfortable working angle. · You can fold it all along the full angle making it a full fledge tablet and make you have all the fun. · You can make it in the array of tent making it stand in a tent like position and you can watch movies all day long with such a comfortable position. · You can also make it in a stand in a specific angle so that to give an ergonomically typing position in tablet form. Lenovo has not only provided various modes of laptop and tablet usage but is also of the view to give users a superb list and range of apps that are dedicated to specific mode of your tablet. Apps for laptop, tablets, stand and type mode all modes dedicated apps. 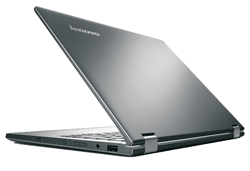 Lenovo knows when you need a laptop or when you need a tablet the elegance factor should not be eliminated. For this pupose Lenovo has made sure that either its tablet mode or it is in laptop mode every mode appears slim and thin pleasing to eyes with elegance intact. This device comes with the bundle pack of built guard antivirus pack included with the device.